The beneficiary of years of publicity about plug-in electric cars, the Volt will begin silently rolling out of dealerships in December. Despite a brief controversy about its credentials as an electric car, the Volt has an advantage over its main plug-in competitor, the Nissan Leaf. When battery power runs out, the Volt has a back-up gasoline generator that sends power to the electric motor and extends its range up to 300 miles — three times that of the battery-only Leaf. Volt won’t turn a profit any time soon, but it should burnish GM’s image as a company bringing out high-tech, green cars. “Volt will be a buzz creator, bringing in new customers who might not otherwise visit a Chevy showroom,” says analyst Jesse Toprak, of automotive site TrueCar.com. 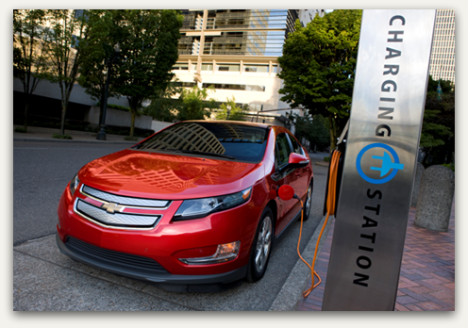 And GM’s top line will get a charge from GE, which recently announced it would buy 12,000 Volts for the corporate fleet. Tesla Test Drive: Time to Try an American Car?